Malignant melanoma is the most dangerous type of skin cancer. 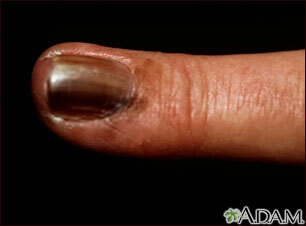 Melanomas beneath the fingernail appear as a black or bluish black discoloration. This type of malignancy spreads (metastasizes) readily.